For over 30 years, Lincoln has been producing premium ovens using air impingement technology incorporating high velocity cooking methods to deliver a faster, more consistent and even bake, resulting in food that has no burned bottoms, under cooked middles or over browned tops. Impingement technology has revolutionised the foodservice industry and enabled operators to produce high quality food in minimal cook time. Lincoln’s exclusive FastBake™ features patented airflow technology to produce a higher heat transfer than any other impingement technology. All Lincoln units come with a Patented Direct Drive which means no conveyor belt or costly belt replacement. Designated cooking zones for rapid browning, cooking and crisping of foods. Lincoln features a great range of countertop and larger commercial pizza ovens available in natural, propane gad and electric models. 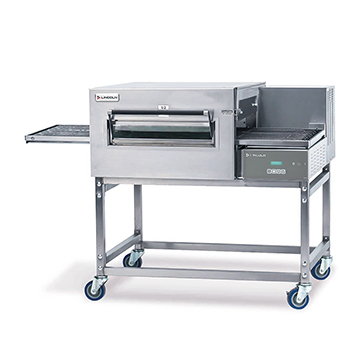 Voted 14 times ‘Best Conveyor Oven’ by Foodservice Equipment & Suppliers Magazine. Operators using Lincoln experience 2-4 times faster cook times compared to conventional ovens and a 30% increase in speed compared to other impingement technologies. Lincoln significantly reduces labour costs as staff do not need to monitor or tend to food cooking, leaving staff free to produce other menu items. Lincoln’s automated conveyor cooking platform increases output and productivity as multiple items can be cooked in the oven at once. Extremely easy to operate requiring minimal staff training making Lincoln perfect for use in QSR’s or any operation with unqualified chefs. 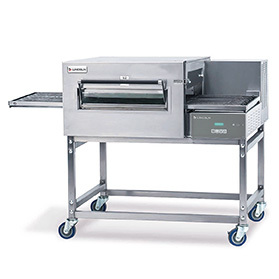 Why is the Lincoln range of conveyor ovens the fastest in town? In the fast-paced world of commercial catering, you’ll know how important it is to produce excellent food not only of the highest quality, but in a timely manner, too. With the shock collapse of Eagle Boys, it is clear that the Australian pizza industry is high risk and highly competitive. For any quick service restaurant, there are a few staple dishes that are always going to be a popular part of your offering.